As a parent, it seems I was always urging my 3 daughters to "Eat your veggies!" It was a battle, let me tell you. Now, as adults, they don't shy away from their vegetables and even have found clever ways to get their own children to eat them. How come no one shared that secret with me years ago? 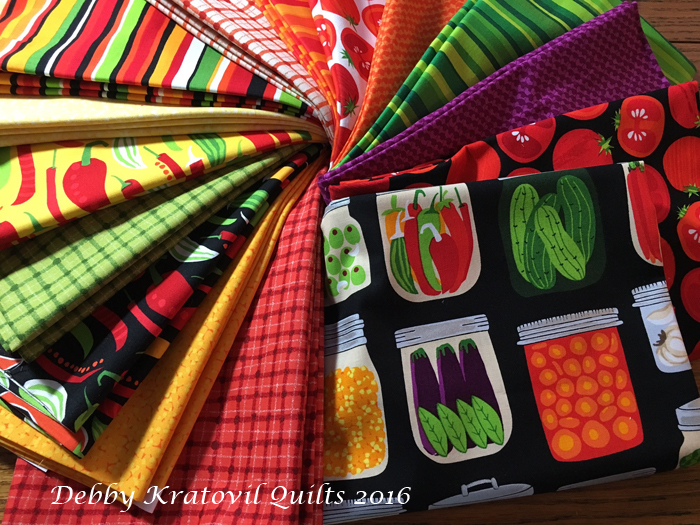 Today I am sharing about a new collection called "What's in My Pantry?" and again, it's all about vegetables. You may doubt it once I get going, but trust me, OK? 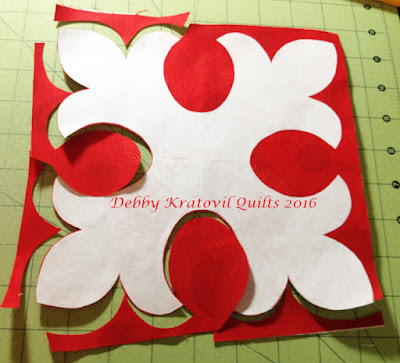 First, let's begin with one of my "go to" patterns for a Fleur de Lis. I have used this many times for quilts in magazines. One of them used a previous Benartex Collection called Normandy. What do you think? 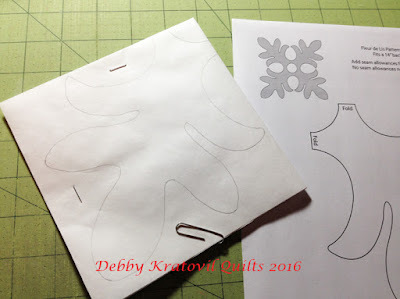 I printed the template page (which is 1/4 of the pattern) and traced it onto a piece of freezer paper which was folded into quarters. (Yes, I will offer the pattern at the end; stay with me.) Note that a hair clip is just as useful as a paper clip. They do the same job! 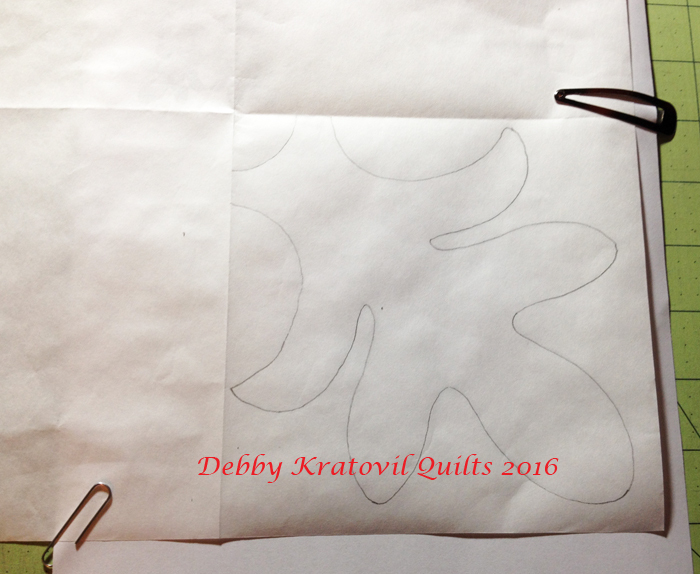 Notice in the pattern that I wrote where the fold lines MUST be. It is helpful to transfer those words (but I didn't in this instance) onto your freezer paper. Four layers cut out. DO NOT CUT ON THE FOLD! 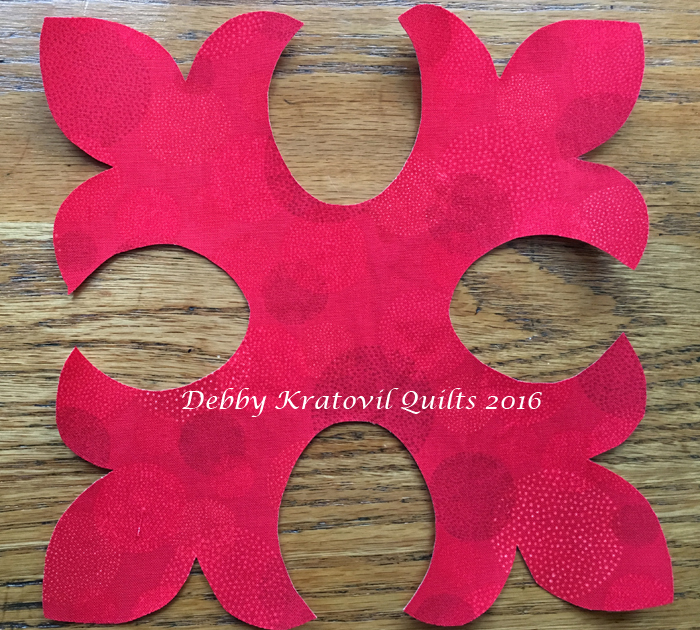 I plan on five Fleur de Lis blocks which will finish to 10" I cut five 10-1/2" squares of a white background fabric. 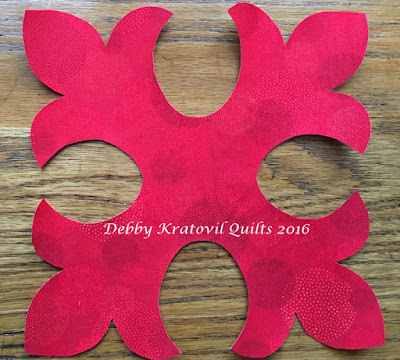 Now it's time to fuse the red Fleur de Lis to the background square. 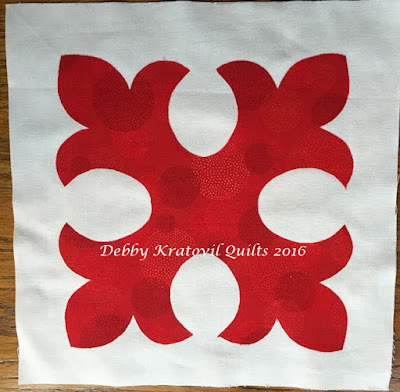 I finger pressed diagonal lines on the white fabric. My template is not perfect, but I'm not going to change it. "It's good enough for the camera," is my motto. 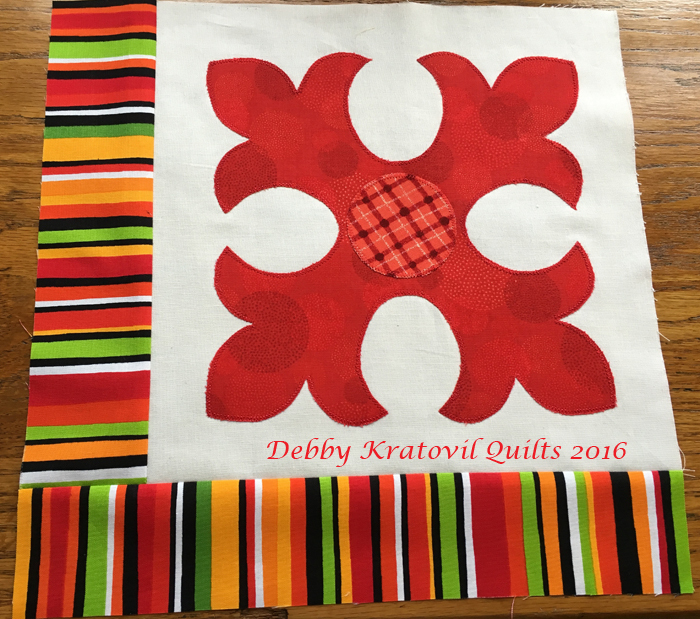 It features 9 squares that each measure 10" x 10". 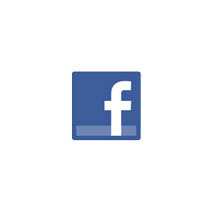 They are offset using rectangles. This works wonderfully (as in this quilt) when you have a gorgeous motif you want to feature. 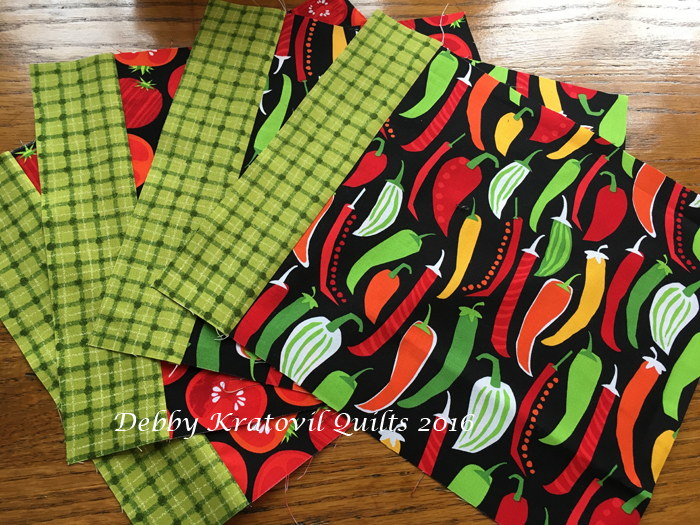 For my Veggie Quilt, I cut two squares (10-1/2" x 10-1/2") each of two of the veggie prints. Two of the tomatoes and two of the chili peppers. I added my strips cut 2-1/2" x 10-1/2". Uh oh! Where is she going here? 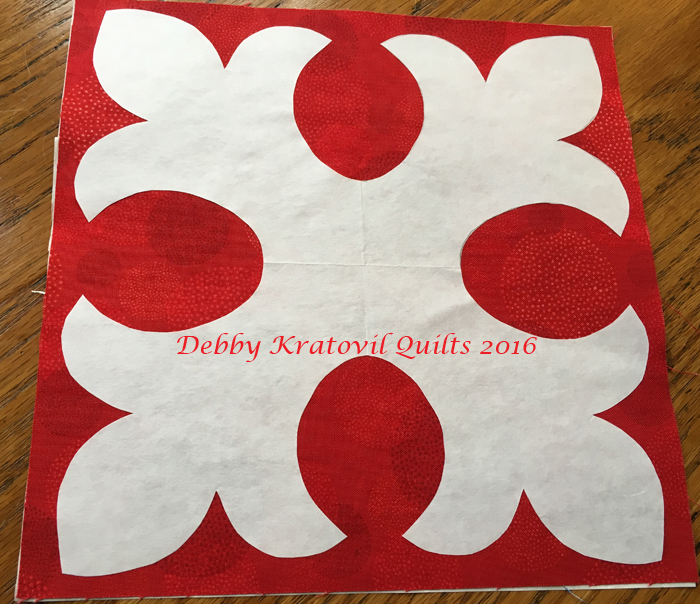 I mean, she's using these with the Fleur de Lis? Did she get a chili pepper caught in her brain? OK. Now for the reveal. WARNING: Put your coffee or tea cup down - NOW! 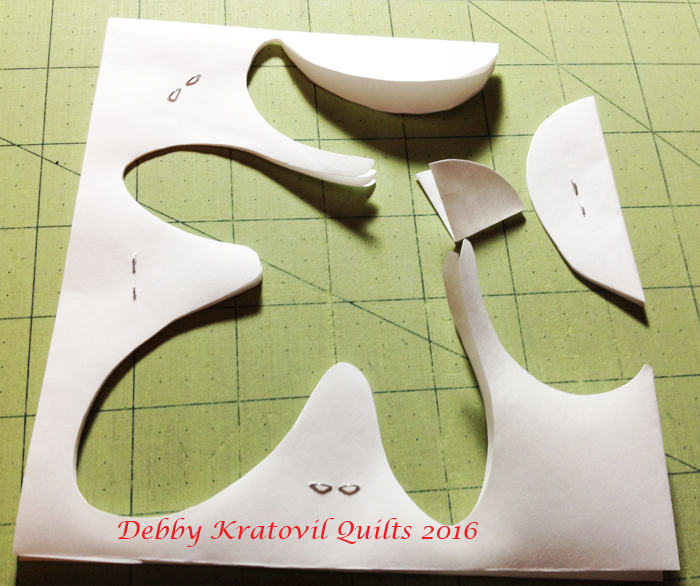 Sometimes things just get out of control in my studio. I do think, though, this will delight any child under the age of 8. The green inner borders finish to 1". I cut 8" wide borders of the canned veggie print. It is directional and I needed to use another print from the collection for the top and bottom borders. And then I cut 8" (not 8-1/2") squares of the light tomato print. This is what's in My Pantry! 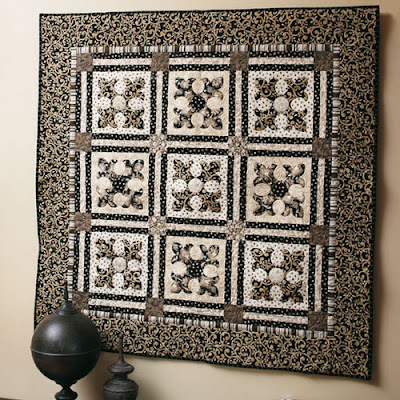 - 51" x 51"
Great quilt and love the fabric. Can I get the quilt pattern? I love it! 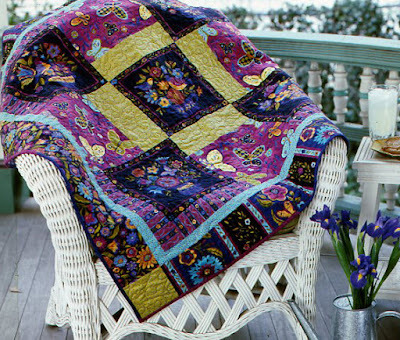 I love seeing ways to use those fabrics that need more room to strut their stuff. This is perfect! My daughter is vegan and loves hot peppers! Too cute! 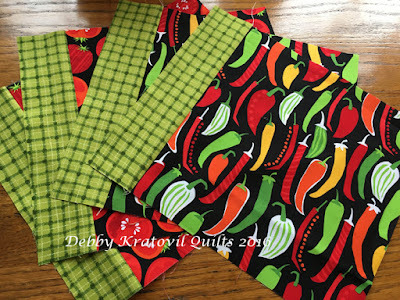 I like the idea of making aprons and placemats out of these fun fabrics too. Thank you for the inspiration. 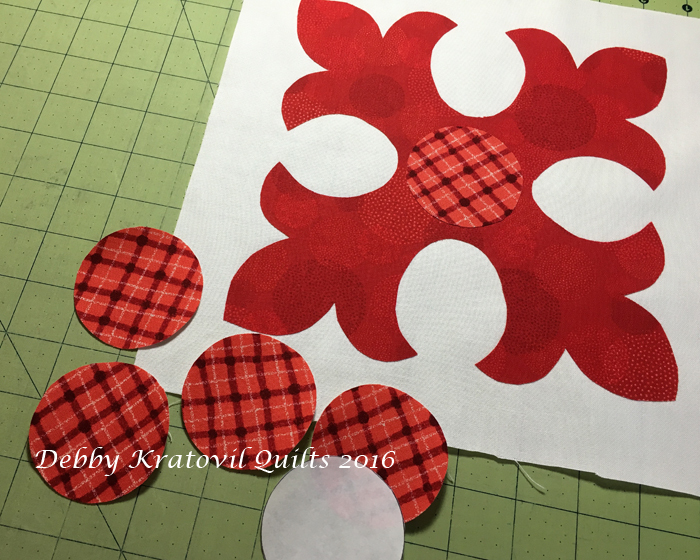 So gorgeous fabric and the quilt is fantastic.Thanks for the tip,this is a easy way for applique. 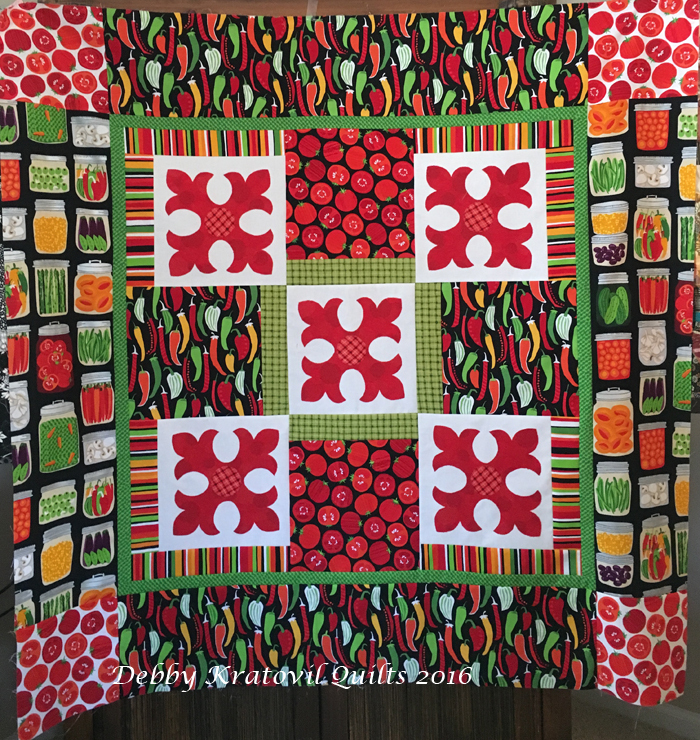 That is one bright quilt! 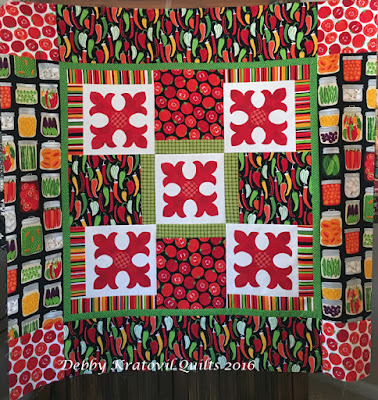 I love how much the bright colors change the quilt. So fun! Love this! The quilt top looks wonderfully busy and bright, and the fabric collection is fabulous, with the veggies and jars.